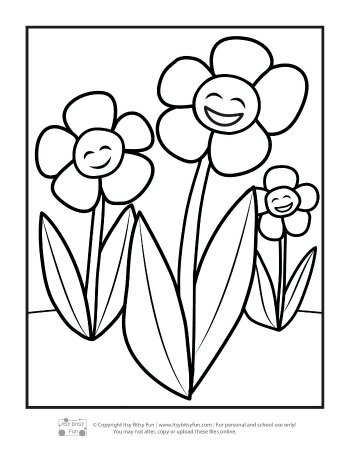 These Flower Coloring Pages for Kids are an excellent way to entertain children and help them refine their motor skills. Coloring is a fun activity that lets children be creative and express themselves. It’s something kids love to do and it keeps them busy. 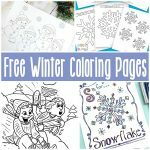 Children love the freedom of choice that comes with coloring. A big bucket or box of brightly colored crayons is an invitation to play and be unique. 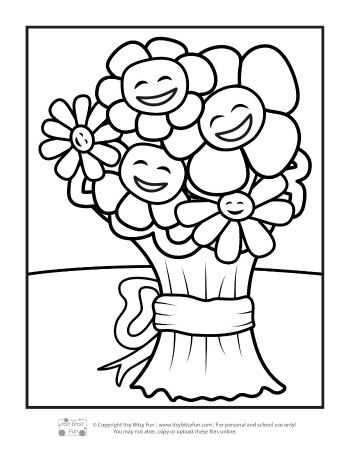 Our free coloring pages for kids are great for children of any age. 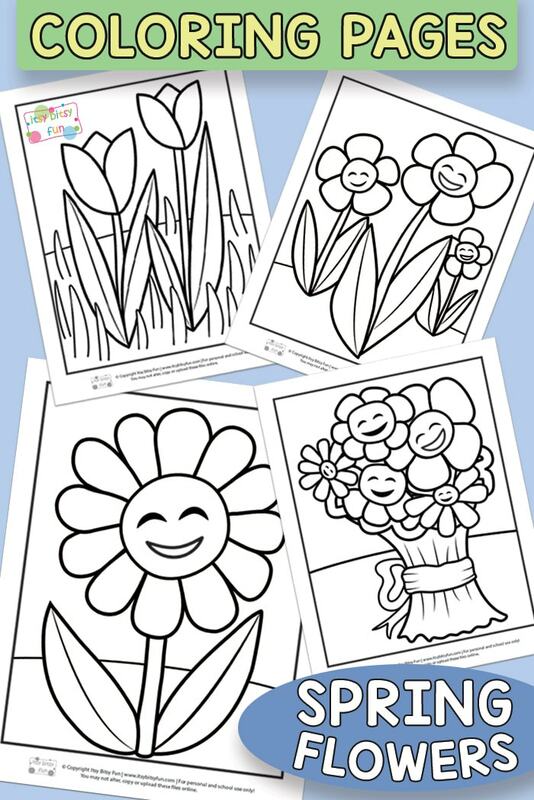 We have four different flower coloring pages for spring: a smiling flower with petals and a thick stem; a group of three smiling flowers which introduces perspective; two pretty tulips with blades of grass; and a smiling bouquet with a ribbon. 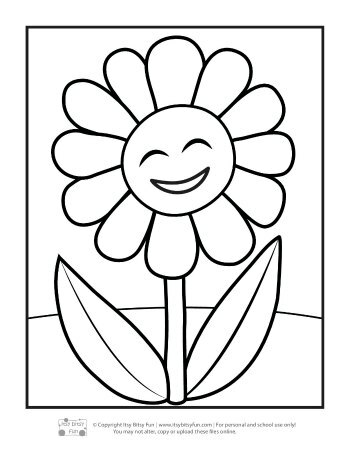 The details on our coloring pages for kids are minimal. The broad black lines are easy for children to see and helps younger kids feel more confident about trying to stay in the lines. The white spaces are wide and perfect for very young children. 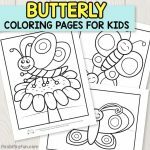 For older children, these pages are a great canvas to encourage them to draw in their own creative patterns or other details. 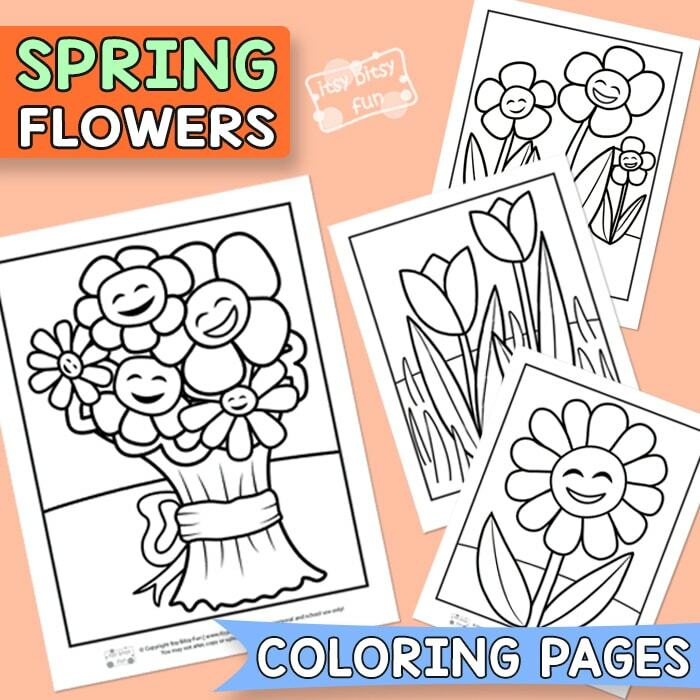 These flower coloring pages are an excellent way to teach little children about springtime and the basics of how things grow. 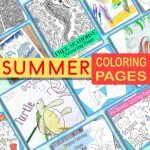 These pages can be printed from a home computer and used with standard crayons. Try chunky crayons for little ones. 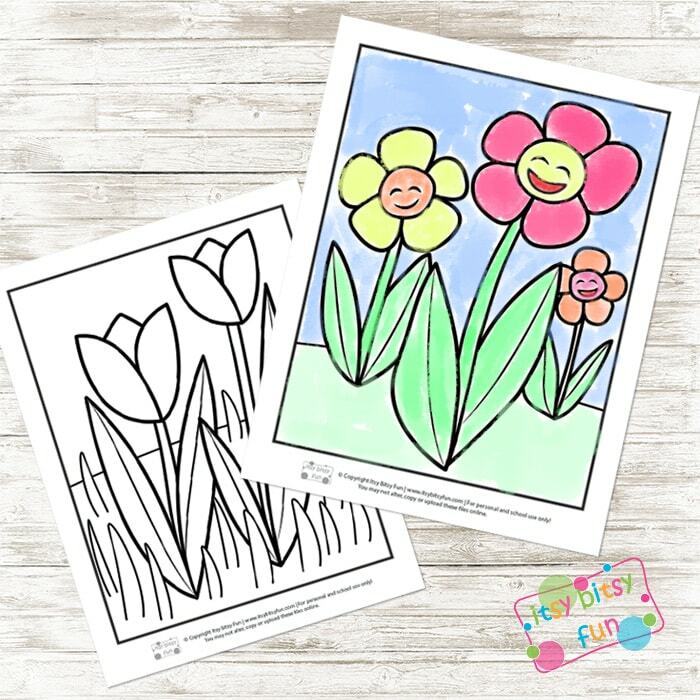 To entertain older kids print these sheets out on cardstock and let them create with markers. 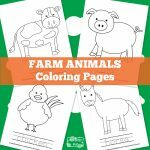 These pages can also be laminated and used again and again with colorful dry-erase markers making them perfect for teachers. 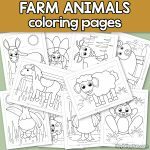 Glue laminated sheets to wood or another hard surface for a fun way to let kids color on long car rides. What other clever ideas can you come up with? 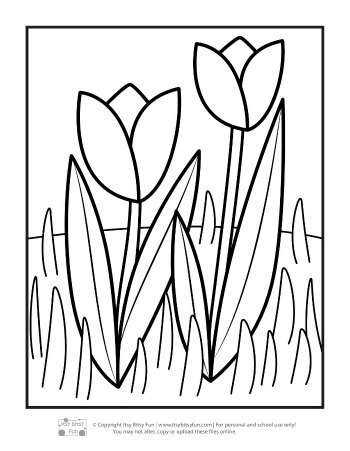 Grab your Spring Flowers Coloring Pages here.